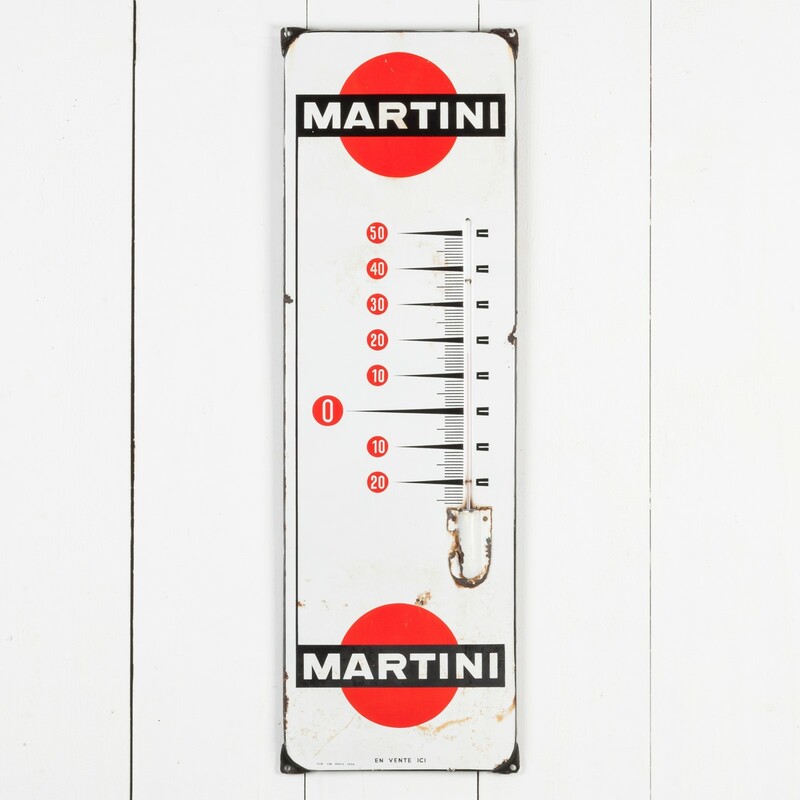 This Martini enamel thermometer is a lovely and increasingly scarce example of Martini's mid-century marketing. The 'bar and ball' logo was first registered in 1929, and from then the company worked at making themselves a recognised household name. 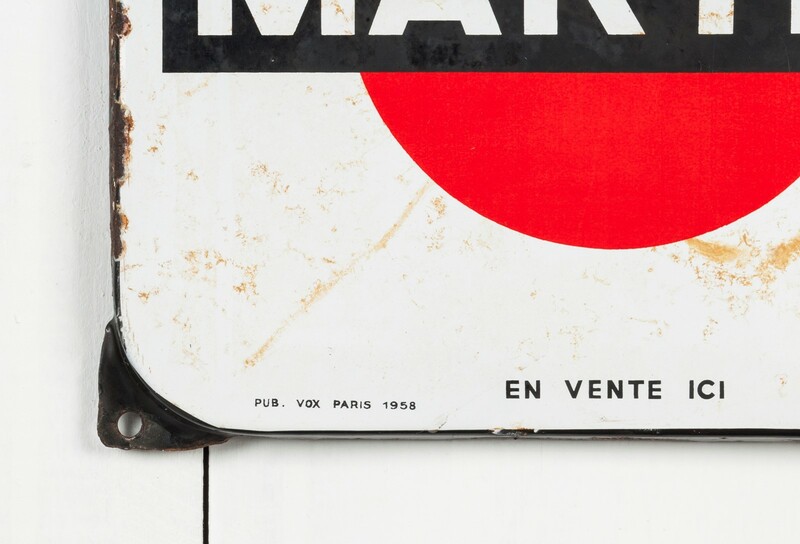 By the 1950s enamel was loosing favour to cheaper, paint-on-metal signage, however being a 'premium' brand Martini continued to use the better quality, longer lasting enamel. 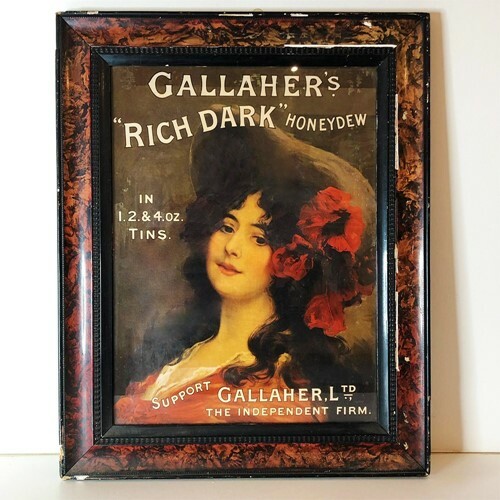 This particular piece is French and was produced in Paris in 1958. It's original thermometer tube survives in working order and the piece remains bright and vibrant, though there are some signs of corrosion around the outer edges, some rust bleeding into the enamel across the lower third of the piece and some corrosion/enamel loss to the protective enamelled cover at the base of the thermometer tube. 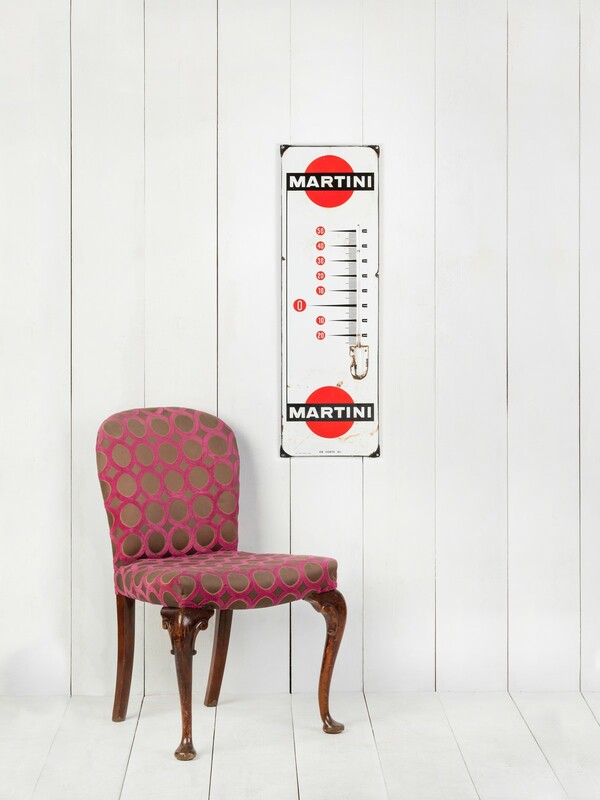 Despite this, the piece has real impact; with Martini's iconic logo at the top and bottom edges, a small + subtle 'en vents ici' (on sale here) is written along the lower edge and the temperature markers have a pleasingly bold design. 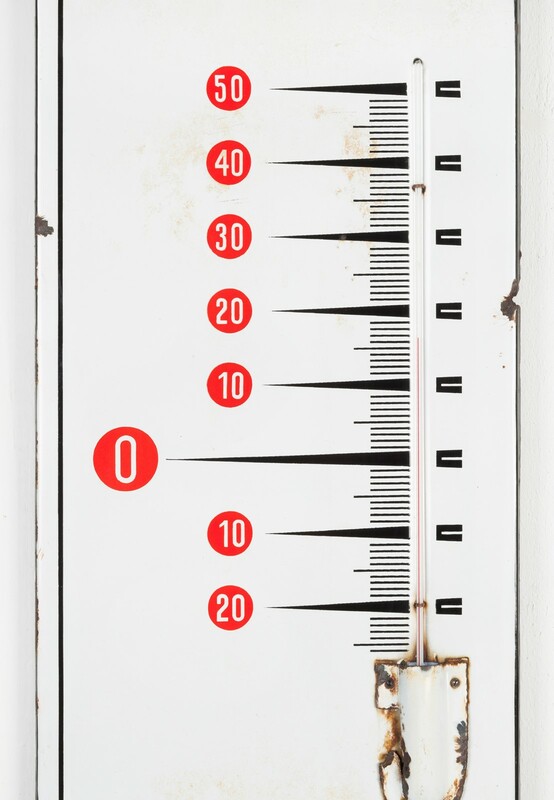 A lovely, usable piece of mid-century advertising, this thermometer is ready to hang using it's original mounting tabs. It measures 96cm high x 30cm wide x 1.5cm deep.